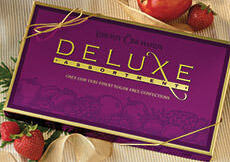 So indulgent, it's hard to believe they're sugar-free! With every bite of our rich, creamy, chocolatey candies, they may puzzle over how such delicious, sweet, fruity chocolates could possibly be sugar-free. One thing is certain... if you know someone who can't eat sugar, this gift is sure to be among their all-time favorites! 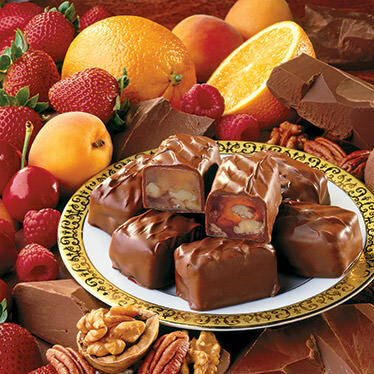 Includes five tasty varieties of our sugar-free fruit-and-nut candies, each dipped in a rich blend of milk and dark sugar-free chocolate: Strawberry-Walnut, Raspberry-Pecan, Pineapple-Macadamia, Orange-Walnut, and Blueberry-Pecan. Sweetly satisfying, even without the sugar! Kosher. INGREDIENTS: maltitol syrup, sugar-free chocolate coating (maltitol, chocolate processed with alkali, cocoa butter, milkfat, soy lecithin [an emulsifier], acesulfame potassium, sodium caseinate, natural and artificial flavors), nutmeats (walnuts, pecans, macadamias, cashews), sorbitol, pectin (pectin, disodium diphosphate, sodium polyphosphate, dextrose, dicalcium phosphate), modified corn starch, maltitol, natural and artificial flavors, sodium citrate, citric acid, malic acid, red 40, yellow 5, yellow 6, blue 1, soy lecithin. Being a recipient of a gastric bypass a couple years ago, I am severely limited on choices of treats that I can enjoy on my own terns. These take that worry away. I still limit my intake, but I really do not have to. I can enjoy them without worrying that I will make myself sick or having to feel stressed by guilt. It is a joy to behold! 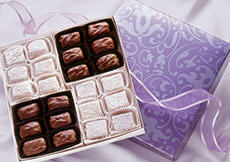 These sugar free chocolates are delicious! 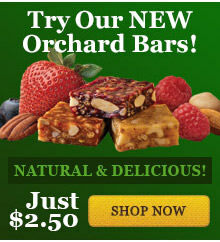 I am diabetic and it's difficult to find good sugar free treats, but these are the best! I purchased a small box, but I'm going to get the large size this time! Love them!!! My husband is so picky with sugar free candies. But I snuck these on him and he could not tell that they were sugar free. He was shocked that they were. There is no weird after taste or too sweet. Just rich chocolate and the berry nutty centers are so soft and chewy. We love them!! We will be ordering more! 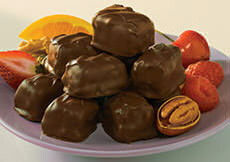 great chocolate covered fruit/nut treat! Rich and so delicious it's impossible to believe they are sugar-free. My mother request these every birthday and Valentines'.